Saviton Group is a leading quality manufacturer and marketeer of furniture which includes Seating Systems and Modular Furniture in India. Saviton Group comprises of M/s. Saviton Living Concepts and M/s. Saviton Metplast Pvt. Ltd., which was founded in the year 1998 by visionary entrepreneur Shri P. Jaiswal. Our seating solutions and modular furniture are developed with a philosophy of providing "style and comfort" to your work space. Our complete range of modular office furniture includes a huge selection of office chairs right through to meeting and conference tables and much more. We manufacture and serve clients all across the country and we also undertake customization work as per customers’ requirements, specifications, design & choice. Our in-house creative interior designers will help you to visualize our range of products which will fit into your office space. 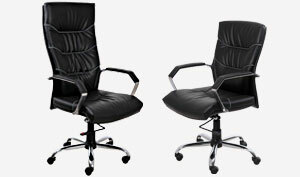 Our new launch chair Mozart 135 brings comfort and aesthetic looks which makes it special. It is designed ergonomically so that an individual work for long hours without any tiredness and back pain which is one of the basic requirements of an Executive chair. We are using high quality leatherette in our chair which makes it even more attractive and a perfect fit to any environment for leadership. 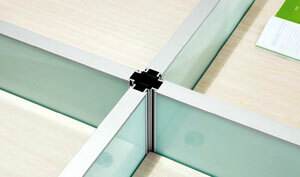 Our new launch T60 Partition system adapts to changes within your workplace. Its simplicity and flexibility aims to keep your long-term costs low. It's the affordable furniture solution to complete your office environment today and tomorrow without sacrificing quality or aesthetics. Larger work areas provide increased work-surface and storage capacity while lower panels allow convenient office interaction. Saviton’s T 60 Partition creates individual work privacy without isolation by utilizing varying panel heights. Curvilinear work-surfaces maximize workspace while increasing chair mobility in smaller workstation footprints.